BREAKING NEWS: The biggest and baddest villain of them all, Skeletor, has announced his intention to wreak havoc on Hot Wheels City in what’s being called Skeletor’s Revenge! - Take down Skeletor and his minions to conquer Snake Mountain! - Unlock the new and exclusive Skeletor-helmet! 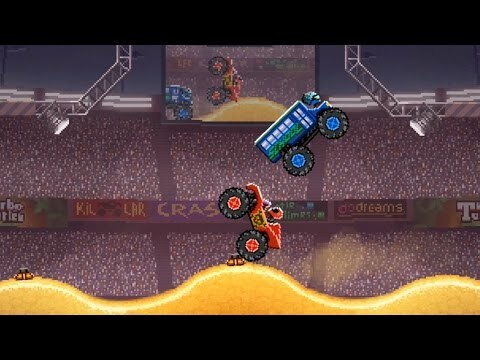 - Win cars like Bone Shaker and Fangster, and (if you can handle it) the notorious Skeletor Phantastique! - Collect all 5 cars to unlock the Skeletor’s Revenge arena for good! Hot Wheels Wednesdays: Are you ready for DINO ATTACK?! - This time your whole city is under attack by a prehistoric behemoth! You're gonna need some serious torque to take this one down. - New limited time Hot Wheels rewards! - Collect all five cars to unlock the Dino Attack arena for good. 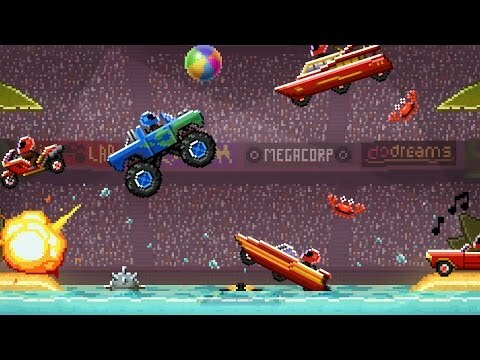 Hot Wheels Wednesdays: OCTOPUS ATTACK is LIVE! - Your Garage is under attack AGAIN and this time the threat comes from the deep... Time to jump in your favourite vehicle to fight back! - Win all five cars to unlock the Octopus arena for good. Plus Brand spanking new daily rewards! Your Garage is under attack… SHARK ATTACK! Jump in your favorite vehicle to fight back. It's sink or swim! - Surf N Turf - Your favourite beach ride. - Piranha Terror - It's not a pirate, it's not an error, it's PIRANHA TERROR! * Get ready for Holiday season special events and winter-themed Superstar Calendar. * Minor tweaks in Hot Wheels Wednesday event. Your Garage is under attack… GORILLA ATTACK! Jump in your favorite Car and fight the Gorilla. Get Hot Wheels rewards! Win all 5 cars and keep this month’s Gorilla Attack arena! Time Attaxi - a crazy fast ride! Aeropod - SWAT car with backup in the trunk! Street Wiener - Powered by Thruster Force! Hot Wheels High - Huge bus with great defence! Backdrafter - A bit on the slow side, but heavy! Hot Wheels is our most requested event by fans, so we’re bringing it back to Drive Ahead! permanently. Wheels Wednesday is a weekly event where you battle for points to collect exclusive Hot Wheels cars and track sets. Players have 24 hrs each week to complete series of challenges and boss fight in order to win an exclusive weekly car and monthly track prize. There's a brand new nemesis Boss Fight opponent and arena every month starting with Spider Park Attack on October 17, 2018. * Summer Soccer is still running, grab your tickets and play through 34 soccer missions! An epic new game mode appears! Build a powerful car lineup! Fight against the all mighty Mega Dragon! Win Legendary Prizes! * 4 New Bosses: Introducing Mega Dragon and it's powerful evolutions! * Vehicle Lineups: Choose 4 vehicles and enter the fray! * 16 new handcrafted Chinese New Year missions! * New Legendary Vehicle: Dragon Tank! Celebrate the year of the Dog in the Chinese New Year event! * New Cars: Introducing Zodiacal Dog; Serpent; Dragon Monster and Rocket Ride! * New Daily Missions: Play 50 festive missions in the calendar and get rewards! * Higher chances of getting new year items in the Prize Machine! * 19 limited time items available! Winter event continues and penguin riot is escalating! Fight back the RISE OF THE PENGUINS in a new update featuring:• Confrontation with the Emperor Penguin in a new, challenging boss fight! • Daily winter missions in the Superstar Stadium Calendar! Winter event is starting on December 1st, and the penguins are rioting! Collect all the cool new winter vehicles, cars, and helmets, and fight back the RISE OF THE PENGUINS! New update features:• 12 Freezing cars• 7 Arctic arenas• 9 Cool helmets• Daily winter missions in the Superstar Stadium Calendar! Go into overdrive with the new Hot Wheels update! Soar through rings of fire and charge across roaring lava with the most powerful vehicles ever!• 4 New Hot Wheels® vehicles!• Daily Hot Wheels missions in the Superstar Stadium Calendar! Go into overdrive with the new Hot Wheels update! Soar through rings of fire and charge across roaring lava with the most powerful vehicles ever!• Daily Hot Wheels missions in the Superstar Stadium Calendar!• New Superstar Stadium achievement car and helmet! Go into overdrive with the new Hot Wheels update! 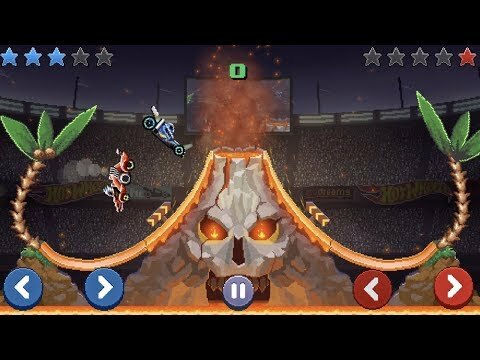 Soar through rings of fire and charge across roaring lava with the most powerful vehicles ever!• 5 Hot Wheels vehicles!• 5 Hot Wheels arenas!• Daily Hot Wheels missions in the Superstar Stadium Calendar! "‘Drive Ahead!’ is celebrating summer with a beach party! Drive in the hot sands and dip in the cool ocean waves with:• 4 Hot vehicles!• 3 Tropical arenas!• 2 Summer helmets!• Daily summer missions in the Superstar Stadium Calendar!• New Summer themed stadium!" ‘Drive Ahead!’ is celebrating summer with a beach party! Drive in the hot sands and dip in the cool ocean waves with:• 4 Hot vehicles!• Daily summer missions in the Superstar Stadium Calendar! ‘Drive Ahead!’ is celebrating summer with a beach party! Drive in the hot sands and dip in the cool ocean waves with:• 9 Hot vehicles!• 8 Tropical arenas!• 9 Summer helmets!• Daily summer missions in the Superstar Stadium Calendar! Collecting just got a ton more fun!Explore Cars, Helmets and Arenas in the new collection view! Build new items from scraps! The fresh Prize Machine guarantees a win every time you roll! Latest update is here and it features:• New arena props and stunt platforms!• Adventurous missions in the Superstar Stadium Calendar! Chinese New Year celebration continues! Join the firework show with• 2 festive arenas!• Winter HC-missions• Adventurous missions in the Superstar Stadium Calendar! Happy New Year! Let’s begin a new year of bashing helmets with:• 4 Animalistic helmets!• 2 Wild vehicles!• Adventurous missions in the Superstar Stadium Calendar! Winter is coming and so are the holidays! Celebrate with the Festive Calendar!• New boss fight: Krampus is back with a new mech!• Adventurous missions in the Festive Calendar! Winter is coming and so are the holidays! Celebrate with the new Festive Calendar!• 4 chilly helmets!• 3 cool vehicles, one as a holiday gift!• 1 glacial arena• Adventurous missions in the new Festive Calendar! Robot missions reach the ultimate finale! The Master Computer has been behind the robot uprising! Fight back the mechanical menace in the boss fight!• Boss fight!• Daily robot missions in Superstar Stadium! Robot missions reach the ultimate finale! The Master Computer has been behind the robot uprising! Fight back the mechanical menace in a new boss fight!• Boss fight!• 3 mechanical cars!• 3 transforming arenas!• Daily robot missions in Superstar Stadium! Robot rampage continues! Keep battling the bots with- 3 robotic vehicles!- 5 cyber helmets!- Daily robot Superstar Stadium missions! 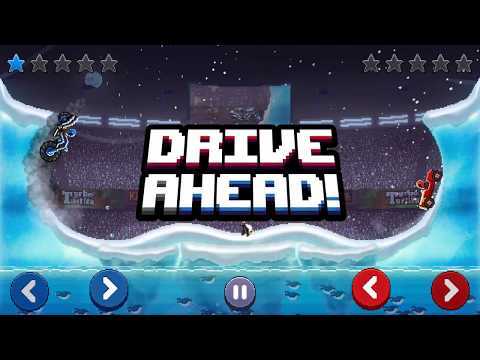 Robots have risen and taken over 'Drive Ahead!’. It’s man vs machine in the new Robot Stadium!• Electrifying robot missions!• 6 robot helmets!• 6 mechanical cars!• 4 transforming arenas!• Daily robot missions in Superstar Stadium!